Your Alexandria primary care office in Arlington believes that everyone six months and older should get a annual flu shot. Contrary to popular belief, flu shots do not cause the flu- they are one of the best preventative measures to not contract the influenza virus. Arlington Primary Care makes sure that flu shots are a available to the public before flu season hits. 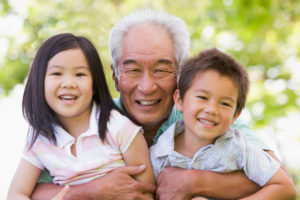 Keep you and your family safe by scheduling a flu shot appointment today. Government issued photo identification : driver’s license or passport. Patients that are under 18 years of age, a parent or guardian must be present. Report of medical examination and vaccination record, Form I-693. Payment ( call before your appointment for different payment options). At your immigration physical in Arlington, your primary care physician will want to make sure that you are up to date on your vaccines. If you have any questions concerning this screening process don’t hesitate to give us a call. Immigration physicals don’t need to be scary and we want to make you feel as welcome as possible. If you are covered under Medicare, it is important to take advantage of the annual wellness exams that are provided for your Alexandria primary care. These visits are vital to maintaining overall health and preventing disease. After your medicare wellness exam your Alexandria primary care physician may recommend additional screenings and tests. Check with your primary healthcare provider to see if these addition visits, tests and to see if an additional payment or co-payment is required. There are times when you may need Urgent Care and your regular Alexandria primary care physician is not readily available. That’s where we come in. We welcome all walk-ins for any urgent care services you may need. If you do need Emergency Care, always call 911 first or go to the nearest available emergency room for treatment. Sometimes even serious conditions may present themselves with mild or moderate symptoms. We want to make sure that you are getting the best women’s health care available. We believe that every woman deserves only the best healthcare. Have you tried every diet known to man? Have you been dieting since you can remember, but aren’t seeing any results? Arlington Primary Care Associates are here to help you in your weight loss journey. 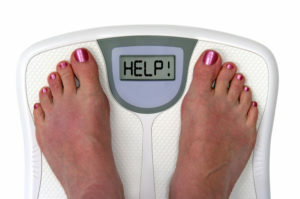 We understand how frustrating it can be to not see the scale budge, after all your hard work. With a physician-led weight loss program you will begin to see the fruits of your labor, finally! Don’t go try another fad diet. Fad diets and exercise plans can lead you down an unhealthy road and can actually make you gain weight. As your Alexandria Primary care center we are here for you. Let Arlington Primary Care help you take back control of your life for good! We want to make your journey to us just as comfortable as your visit. Here are some general directions to get to our Arlington office from Alexandria, if you need more specific directions be sure to enter our address into Google Maps. According to Maps, from Alexandria to our office is 11.7 miles and about 25 minutes driving time. We hope to provide all of our patients new and old with the best Alexandria Primary Care Services.